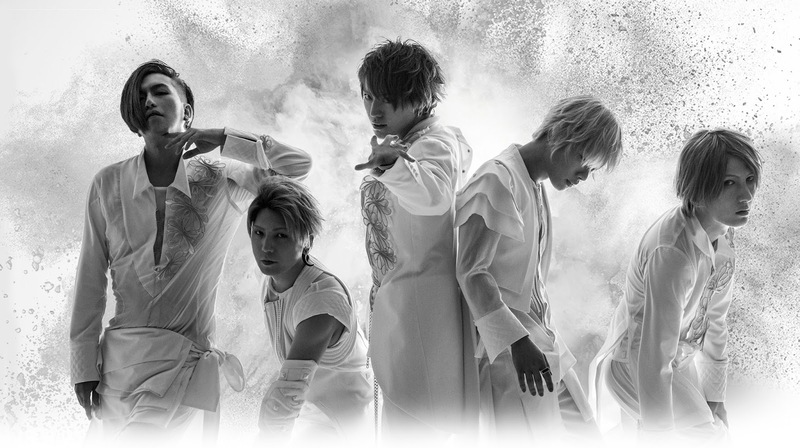 A9 - official statement regarding name change & Christmas concert announced | VKH Press – J-Rock & Visual Kei Coverage Worldwide! The road to being able to tour has not been without its fair share of bumps, and it has lead to situations where the ability to perform could be threatened by a variety of reasons. While meetings and consultations continued, the threat of having to stop performing became a likely reality. With the fans looking forward to seeing the band perform live above all else the top priority, we [the band] have had to overcome several obstacles to avoid this and be able to perform. Now, to further ensure our upcoming tour and activities as a band will continue well into the future, we along with all our fans will take a huge leap. The name "Alice Nine" as a registered trademark cannot be used as it will restrict our range of activities, so in order to proceed and restart in the truest sense, we have decided to officially change our name to A9, as voted on by all the members. A9 2015 Xmas Live "the DIVINE"
Fan club presale tickets will be available from September 28th to October 4th, through their fan club web site. General ticket sales and more information to be posted at a later time.